Helping job seekers ignore the myths and take unafraid action to get a new job! 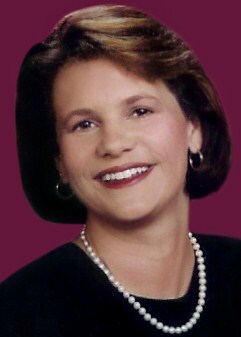 Gail Frank is a career services professional who offers outplacement workshops, resume writing, and interview training for small companies and individual job seekers. Audience membersfind her to be an engaging and funny speaker who gives motivational talks, keynotes and informative workshops to groups, clubs and associations. Participants walk away from her programs with a renewed sense of energy, a fresh perspective, new information, and a roadmap to take action. Because one is not enough (! ), she is a doubly certified resume writer (NCRW & CPRW), as well as a Certified Job Coach (JCTC) and Certified Employment Interview Professional (CEIP). Blessed with the Irish gift of gab, she is also certified as a Professional Teleclass Leader through Teleclass International. Gail is a Harvard graduate with a degree in Economics, and has a 10-year corporate background in Brand Management, Marketing & Operations for Procter & Gamble and BIC Corporation. With her insistent thirst for knowledge, she went after a masters degree in Adult Education/Corporate Training and spent 10 years as a trainer and consultant for global outplacement firm DBM. Currently, she is often asked to create and deliver high-power “Job Search Webinars” to unemployed professionals via RiseSmart’s national outplacement programs. 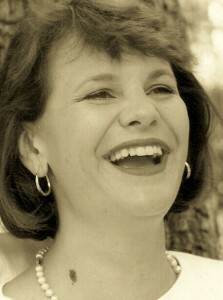 Gail’s work has appeared in several top-selling resume and cover letter books. Along with writing and producing an E-newsletter titled “Frank Talk on Careers,” she has been a monthly featured columnist on the top job search site Careerbuilder.com. While primarily focused on helping job seekers market themselves, Gail still runs a marketing consulting firm helping other small business owners with marketing, communications and training solutions. She co-founded a women’s entrepreneurial marketing network group through a volunteer organization; the group is still going strong 15 years later. The Junior League of Tampa selected Gail as “Active Member of the Month” for her work in bringing pet therapy to a volunteer project at St. Joseph’s Children’s Hospital. She and her team visited sick kids, cancer patients, siblings and families and brought crafts, a wet nose and a smile to those having a tough day. In 2010, she was inducted in the Lowell High School Athletic Hall of Fame. Singled out for her leadership and results in swimming and track & field, and college varsity letters in water polo, Gail joined 20 other women and 109 men in this elite athletic club. Gail lives in Tampa with her husband Gary and their two furiously cute kids, Sarah and Ryan. In between finding fun new ways to enjoy motherhood and helping clients, she tries very hard to squeeze in time for chocolate, reading mysteries and pool workouts.